Naloxone HCl Dihydrate is a specific opiate antagonist. Eluxadoline Dihydrochloride is an orally active mixed μ opioid receptor (μOR) agonist δ opioid receptor (δOR) antagonist. Buprenorphine Hydrochloride is the hydrochloride salt form of buprenorphine, a synthetic phenanthrene with narcotic analgesic activity. Buprenorphine hydrochloride is a partial agonist at the mu-opioid receptor and an antagonist at the kapa-opioid receptor in the central nervous system. ADL 08-0011 is a metabolite of Alvimopan. 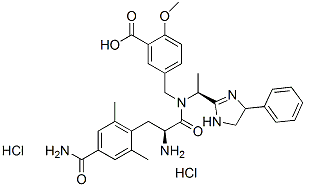 TRV130 Racemate is the racemate form of TRV130 which is an oxaspiro compound that has been found to be a μ-opioid receptor G protein ligand and could be used in pain therapy. 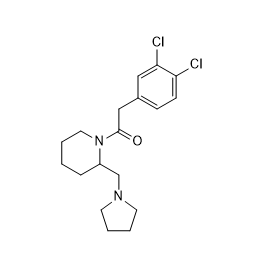 BRL 52537 is a highly selective and potent κ-opioid agonist (Ki = 0.24 nM). 25 times more potent than morphine. rimebutine maleate is a drug with antimuscarinic and weak mu opioid agonist effects. 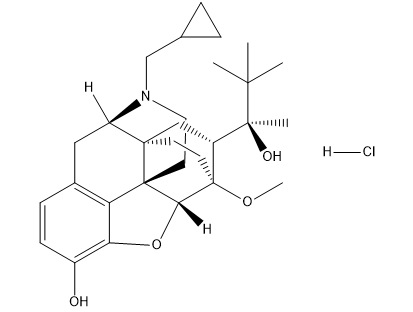 Loperamide Hydrochloride is an opiate agonist with selectivity for the MOR (μ-opiod receptor).